Summer means many things to people all over the country. For some it indicates the chance to take a well-deserved vacation, and for others it leads to being able to relax in the warm weather after many long months of dealing with the cold. For homeowners, summer can also mean checking their house’s ability to stand up to the warmer weather. This means different things in different parts of the country, but the importance is the same. A home needs to provide a family protection from inclement weather, extreme heat or any other weather that summer brings with it. Homeowners in California may look forward to summer, but not necessarily to the extreme heat that comes with it. This year has already brought about several days of discomfort and even danger by way of record-breaking temperatures that reached into the 120’s, according CW-affiliate KTLA in Los Angeles. Old House Web pointed out that extreme heat is often associated with increased water use and air conditioner sales. While both of these methods might be effective for keeping cool on scorching days, they aren’t the best solution. California is still in the midst of a drought, so it’s important to conserve water whenever possible. Plus, KTLA urged homeowners to use as little electricity as possible because the warm weather can overwhelm the power grid. You can prepare your California home for those hot days with a few additions and changes. First, shade is key to keeping the sun off your windows. 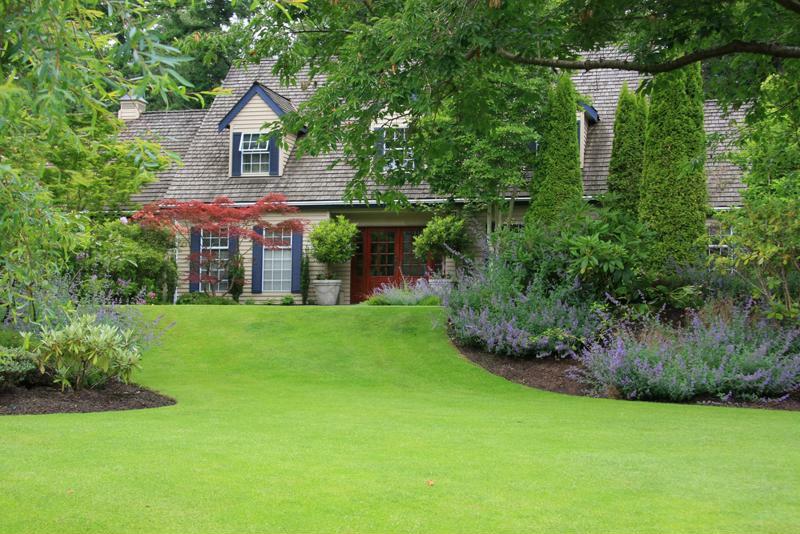 Strategic placement of a good tree planted in your yard is one way to lower energy costs in your home. It’s also important to make sure your insulation and windows aren’t letting hot air in, or cool air out. Find out when the last time they were updated, and consider an upgrade if your windows aren’t built to filter out infrared heat. Hurricane season generally lasts from June to November, and can affect a large number of states. Homeowners near the coast from the Gulf of Mexico to the North Atlantic are at risk, though some areas are more prone to disaster than others. According to Fortune, Florida is the state most in danger, with more than 793,000 homes at extreme risk, and a total of 2.5 million homes at risk. Be sure the trees surrounding your home are healthy and won’t pose a threat during high winds. Homeowners will want to take careful precautions at the beginning of the season to prepare for a hurricane or any inclement weather that may cause damage to a home. It’s important to remember that a hurricane doesn’t have to strike land or even be considered a hurricane to do some serious harm. First, homeowners should be aware of any items outside the home that could cause damage. Have a plan to clean up the backyard, and survey all trees growing around the home. A sick, dead or overgrown tree can be devastating to windows or a roof, explained Ready.gov. Roofs and windows are vulnerable to more than just trees. Be sure they are well-prepared to handle high winds and pounding rains. All doors, windows and roofs should be reinforced and made sure to be secured. If you are unsure, it may be wise to call in a professional to have a look. For information about how to finance a home upgrade to prepare for extreme weather this summer, contact the lending experts at Lenox/WesLend Financial or call 844-225-3669. As heard on the radio, it’s the biggest no-brainer in the history of mankind.